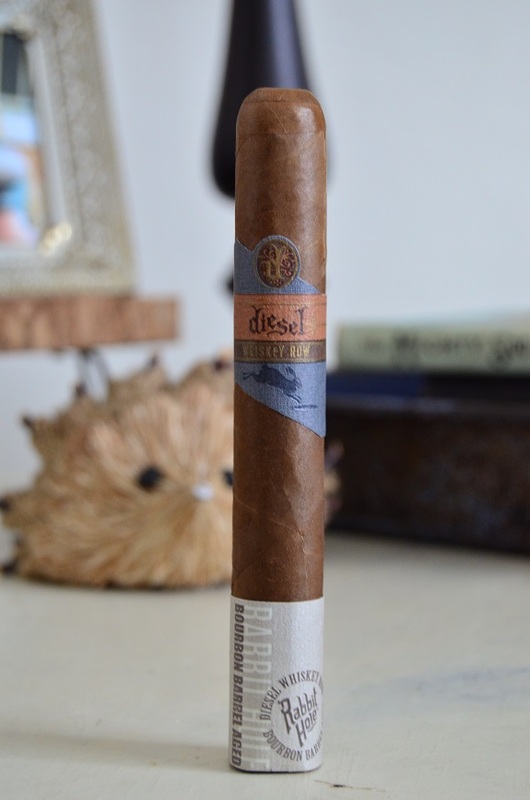 In June 2018, General Cigar released Diesel Whiskey Row. Like other Diesel lines, Diesel Whiskey Row is blended and manufactured by the highly acclaimed A.J. Fernadez in Nicaragua. But what separates this Diesel from the rest of the bunch is the partnership with Rabit Hole Distillery in the tobacco aging process. Rabit Hole bourbon barrels are used in the aging of the Mexican San Andres binder tobacco. 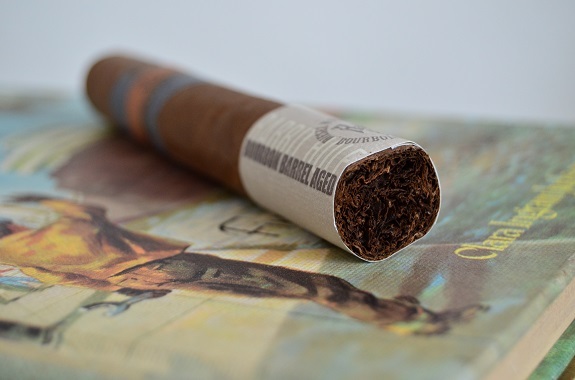 The cigar also features an Ecuadorian Habano wrapper and filler tobacco from the Ometepe, Condega, and Jalapa regions of Nicaragua. Available vitolas include Robusto (5 1/2 by 52), Toro (6 by 54), Churchill (7 by 49), and Gigante (6 by 60). Packaged in 25 count boxes, the Diesel Whiskey Row will run you between $7.49 and $8.99 per cigar. You can purchase Diesel Whiskey Row from our good friends at Famous Smoke Shop. 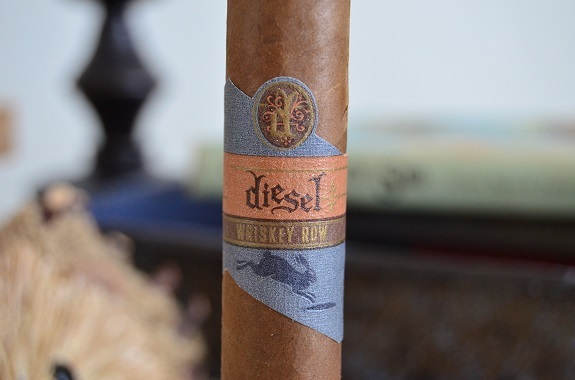 The Diesel Whiskey Row is outfitted in a medium brown wrapper with a heavy oily sheen. There are several medium-sized veins that are lighter in color than that rest of the wrapper. 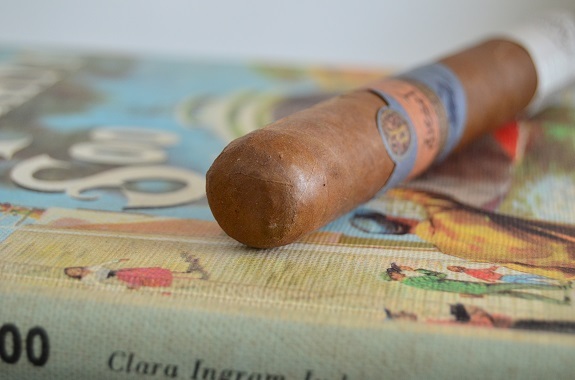 From head to foot, the cigar is evenly and firmly filled. Notes of earth, pepper, and vinegar come across on the wrapper, while a warm cedar and pepper spice are on the foot of the cigar. Upon clipping the double cap, I find the draw to be a hair firm. The cold draw shows off cedar, baking spices, and a deep red fruit note. At once, big flavors begin pouring out of the Diesel Whiskey Row. There is a combination of yeast, charred wood, blackberry, pepper, and salt. The texture of the smoke is thick in the mouth. 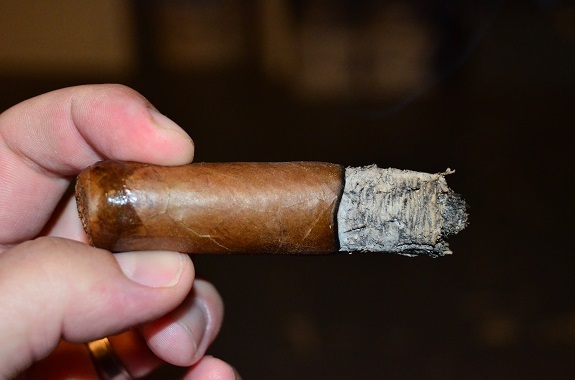 The cigar is burning along with a near perfect burn line as a beautiful, white ash forms. Burning into the second third of the cigar, I am beginning to feel the effects of the nicotine as it puts me into a nice relaxed state. The earlier flavors are holding strong with the sweetness picking up with an added cocoa in the mix. The black pepper spice is also gaining ground in the profile as the dirt/earth lingers on the finish of the smoke. Into the last couple of inches, the earth is heavy followed by dry pencil shavings. The earlier blackberry and cocoa continue to make an appearance every few puffs. Like the previous two third, the burn is right on and smoke fills the mouth with each small puff. Any cigar made by AJ Fernandez is a cigar that is put on my list to smoke. And I am definitely glad I got my paws on the Diesel Whiskey Row. 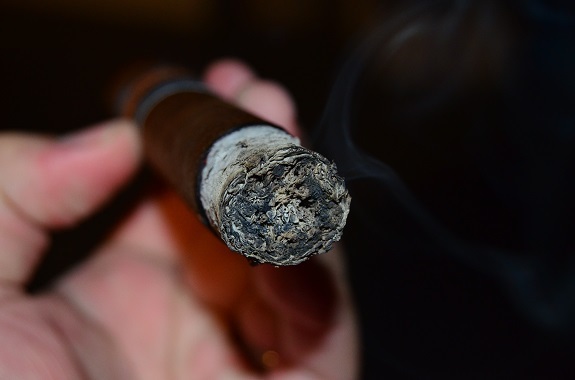 From start to finish, the cigar showed off an exceptional burn with a well-holding ash. And even though the draw seemed firm prior to lighting, my concerns were alleviated once lit with each draw filling my mouth with a copious amount of smoke. But it was the flavors that won me over. 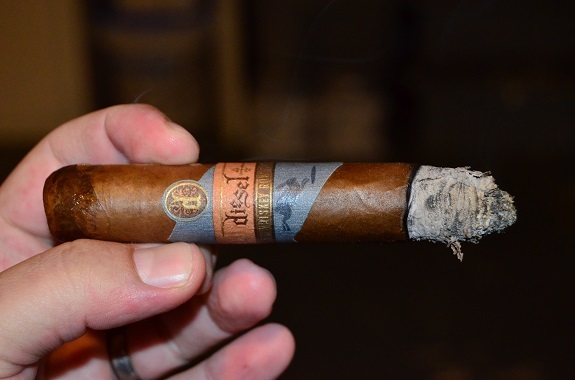 AJ Fernandez’s signature flavors were present with the heavy, spicy profile but it was the complexity of the flavors and blackberry sweetness that brought something completely new to the Diesel Brand. And the $8 price tag is right in the sweet spot for a smoke like this.